Greenwood Branch Celebrates 10 Years! 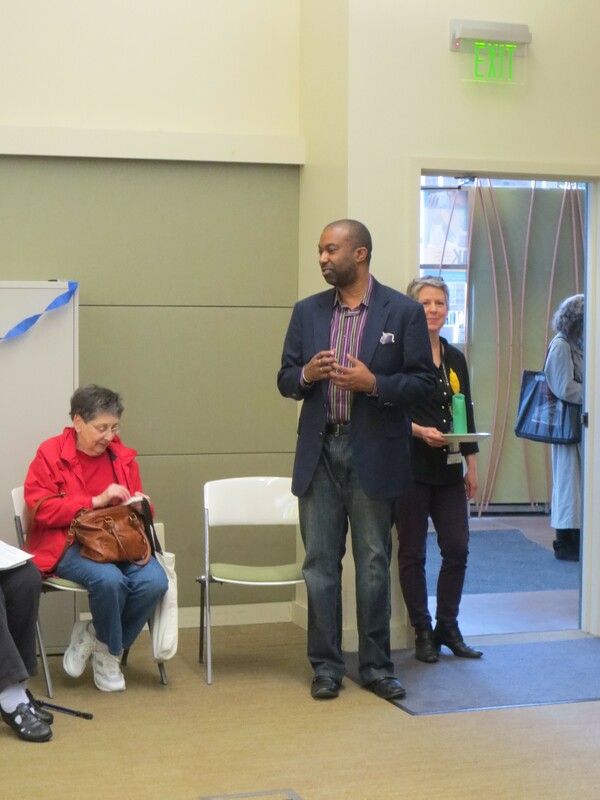 On January 29, Greenwood Library turned 10, and last Sunday, 2/8/15, we celebrated its 10th birthday with a time capsule, cake, and City Librarian Marcellus Turner. Did you know that the first location of the Greenwood Library was at 7020 Greenwood Ave and opened in 1928? This location was open until 1953, when it moved to the current location. Construction began to renovate the building in 2003, and it opened two years later. 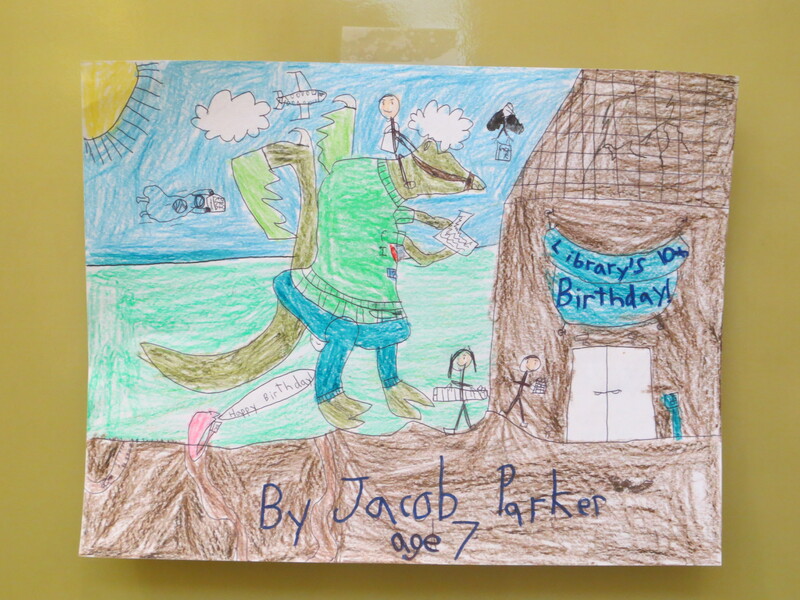 We also asked for drawings of the library, and this is one of my favorites. 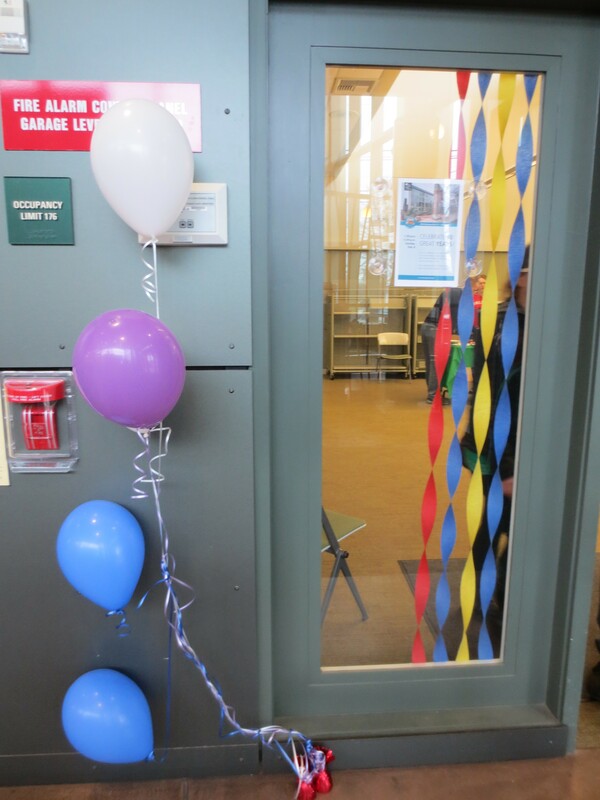 It felt like a proper birthday party for everyone’s favorite library! It’s interesting to see the divide of people on what the library will be like. Which side are you on; all electronic, or much, much bigger & full of books? 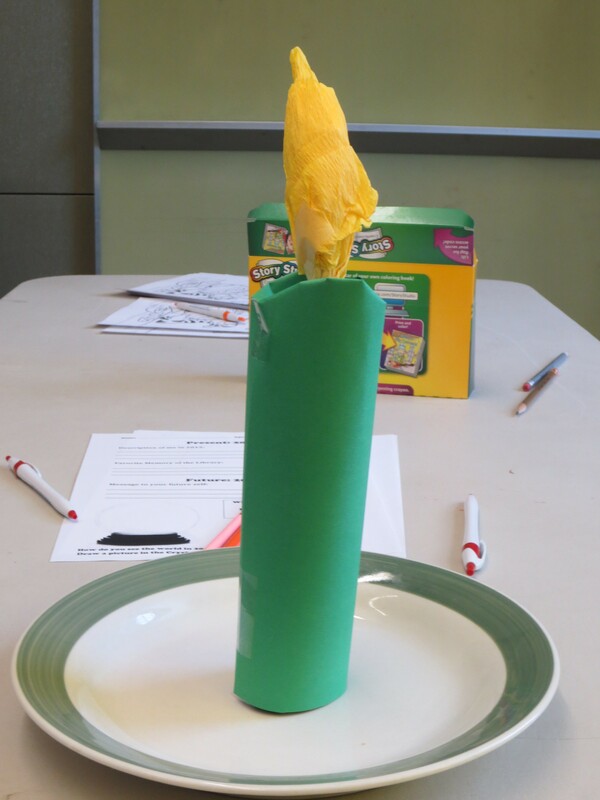 This entry was posted in Community, Events, Libraries, Seattle, Teen Powered and tagged Greenwood, Greenwood TAB, spl events on February 22, 2015 by wbubelis.